0810 Echinocereus rigidissimus v. rubrispinus L088, Sierra Obscura, West of Chihuahua, Mexico, 1800 m.
Questa è una di quelle piante che non possono mancare in una collezione di cactacee, la sua maggiore attrattiva sono le dense spine pettinate di un bellissimo color rosa-viola. Habitat: The reported habitat preference for limestone is erroneous; this species is a calcifuge, preferring soils poor in lime and usually acid. 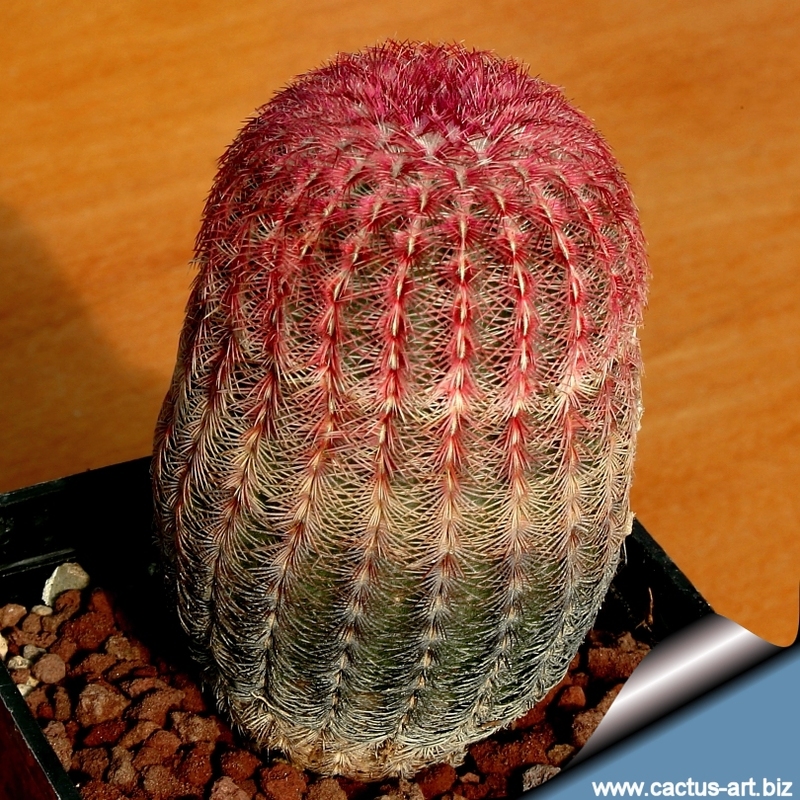 Common Name: Rainbow cactus, Ruby Rainbow. 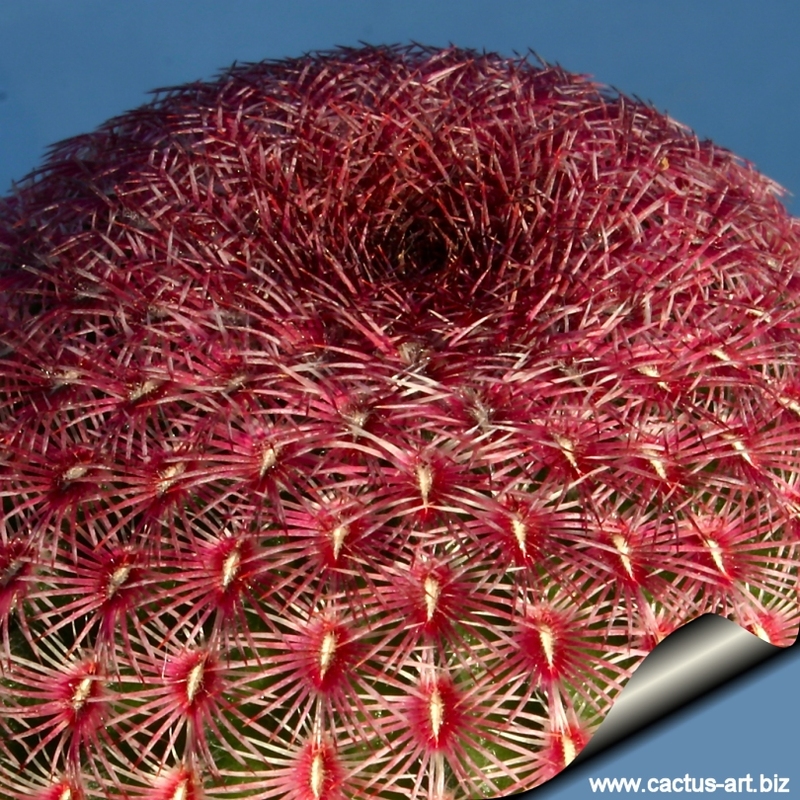 NOTE: Echinocereus rigidissimus, lacking central spines, belongs to the E. reichenbachii group, unrelated to the superficially similar E. pectinatus group, which has at least microscopically visible stubs of central spines. It sometimes occurs with E. pseudopectinatus but without evidence of hybridization. pink and violet colour and density of its spines. Plants are often selected for brightest colour. 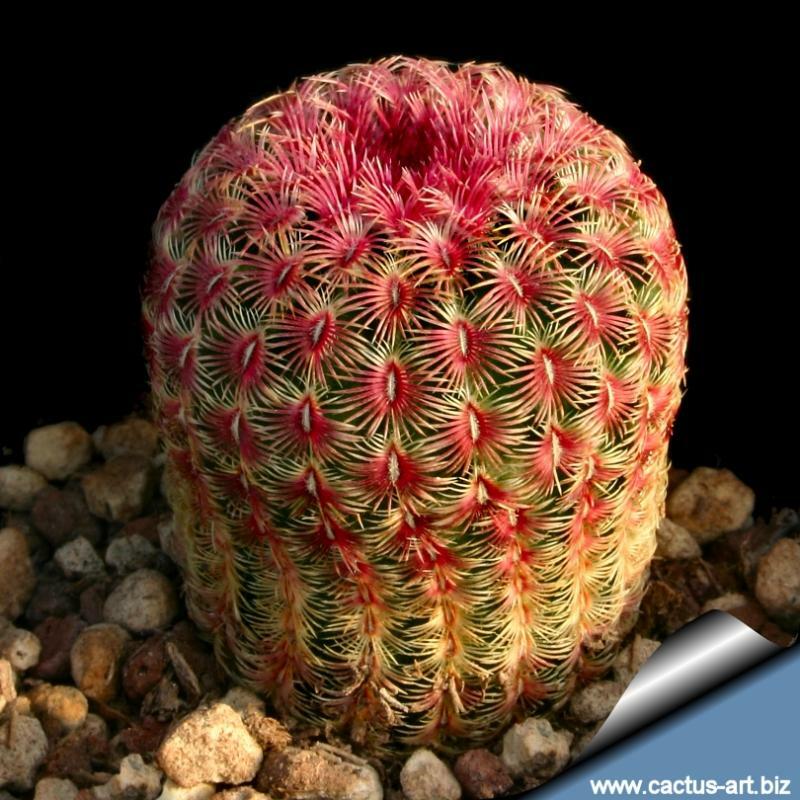 Description: The subspecies 'rubispinus' is a small columnar cactus with very short pink spines. When mature it will form a clump about two 60cm wide by 25cm tall. Stems: Erect, short cylindrical, only get about 7cm thick. 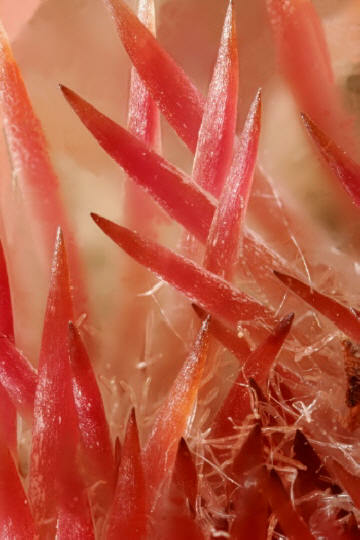 Radial spines: 30-35 pectinate per areole and 6-10 mm in length in red and white bands, but more ruby/violet coluoured compared to the 'rigidissimus' subspecies, witch makes it a very attractive cactus. This is a Mexican form and does not turn grey like the Arizona form. Flowers: Huge up to 10cm wide. Beautiful bright pinkish-red or magenta or red with white throats. Blooms in ring on the crown of the stem in spring. The only downside is the flowers leave an unsightly scar when they drop off. Fruit: Globose, greenish or dark purplish brownish very spiny, 3 cm in diameter, pulp white. Fruiting 3 months after flowering. Cultivation: E. rigidissimus var. rubrispinus is not the easiest cactus to grow, but when grown well it’s very attractive. Rot easily it is sensitive to overwatering (rot prone), so perfect soil drainage is a must. It prefer a neutral to slightly acidic compost with plenty of extra grit. Best if watered with rain water and given an occasional tonic of sequestrated iron. In the summer they need an airy location in bright sun; well watered when it's hot. To achieve the best spine colours give these plants lots of sun.In the winter light, cool, and absolutely dry conditions. Very cold resistant above approx -12C or less for short periods of time. In mild climate they grow well when planted freely outside in well-drained soil.